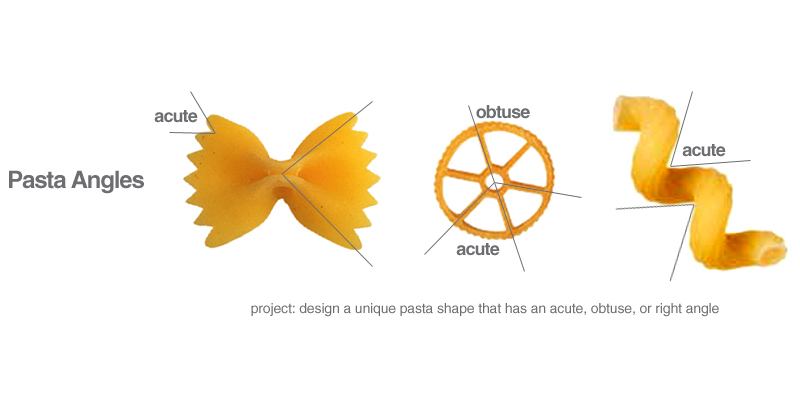 Show kids a couple of different pasta shapes. Can they find an angle? Then, have them design their own original pasta shape! Their new shape must include an acute, obtuse, or right angle. What will they call their pasta? Have them create an original logo and package for their pasta.